A career within the pharmacy profession offers a dynamic range of settings and specialties in which to practice. In this article, an experienced pharmacist discusses reasons to become an antimicrobial stewardship pharmacist. Choosing to become a pharmacist is an excellent career choice. However, once this decision is made and a student is enrolled in pharmacy school, they infrequently comprehend the extensive variety of potential paths which are available to them as a pharmacist. Even for the students in later years of pharmacy school whom I encounter, they commonly do not have a strong understanding of what their options are. Within the pharmacy profession there are many specialties in which a pharmacist can practice (e.g., internal medicine, transitions of care) and each specialty can practice in numerous settings (e.g., community, hospital). With so many options and so much to learn, it is not that surprising to see students still discovering new potential career paths as they get closer to graduation or even after graduation. In navigating the various choices, one emerging specialty that may present itself is antimicrobial stewardship pharmacy. 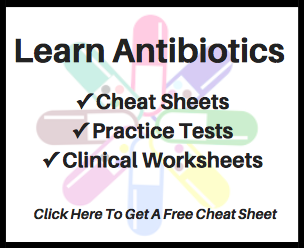 While antimicrobial stewardship pharmacists commonly land in their position after gaining advanced training or experience in infectious diseases, antimicrobial stewardship pharmacy is not synonymous with infectious diseases pharmacy. Antimicrobial stewardship pharmacy goes beyond infectious diseases to include elements of administration, information technology, quality, education, research, communication, infection control, and more. There can be no doubt that given my career path I am biased in my opinion on the matter, however I firmly believe that becoming an antimicrobial stewardship pharmacist is an excellent option for current and future pharmacists. It is an area of practice full of both rewards and challenges. Here, I provide 5 reasons to consider a career path as an antimicrobial stewardship pharmacist. This is intended to foster awareness and discussion about this topic. In January of 2017 Joint Commission standards on antimicrobial stewardship went into effect, which apply to hospitals, critical access hospitals, and nursing care centers. The Joint Commission accredits and certifies over 21,000 healthcare organizations and programs in the United States. Given that their accreditation and certification is tied to reimbursement for services, healthcare organizations are very interested in adhering to Joint Commission standards. The Joint Commission is not the only accrediting body of this nature with an antimicrobial stewardship standard in effect or currently brewing. Antimicrobial stewardship pharmacists are identified as core members of antimicrobial stewardship programs. As the demand for these programs grows, it can be reasonably expected that the demand for pharmacists to effectively manage these programs will also grow. One useful resource for acquiring a general sense of the demand for antimicrobial stewardship pharmacists is the job postings webpage offered by the Society of Infectious Diseases Pharmacists, located here. According to May 2016 data provided for free online by the United States Department of Labor’s Bureau of Labor Statistics, the mean annual wage for a pharmacist exceeds $120,000. So, no matter what type of pharmacist you decide to become, chances are you will be paid well. Since antimicrobial stewardship pharmacist opportunities are commonly seen as specialist or even administrative positions, do not be surprised to find salaries that exceed the national average. Antimicrobial stewardship pharmacists have the capacity to positively impact care both on a case-by-case basis as well as on a large scale through implementing system-wide changes. While it is often more gratifying to witness a successful intervention on a unique patient you are caring for, the more profound impact typically comes from optimizing existing institutional practices. Implementing system-wide policies and protocols that reduce inappropriate antimicrobial use and improve patient safety are something antimicrobial stewardship pharmacists are highly interested in. Through these initiatives, the positive impact of your work can be detected on a very large scale. Knowing that you are able to help many patients is something that you should feel good about and this should increase job satisfaction. Antimicrobial stewardship pharmacists often build coalitions across professions and services to support initiatives aimed at improving antimicrobial drug use. In the journey to achieve a common goal, you may be pleasantly surprised to find amazingly talented individuals from other professions ready to serve as co-champions for your cause. One group of individuals antimicrobial stewardship pharmacists commonly work closely with are infectious diseases physicians. Currently infectious diseases fellowship training for physicians is not highly sought after and in recent years many programs have even had trouble filling positions (you can read about this issue here). However, that is not necessarily bad news for antimicrobial stewardship pharmacists, because physicians that do go into the field of infectious diseases are likely to do so out of their passion for the work rather than the financial incentives. Working with people on a regular basis that share your desires and passions is likely to improve job satisfaction. The problems we face today with the spread of antibiotic-resistant pathogens and few new antimicrobial drugs coming to market will almost undoubtedly make antimicrobial stewardship programs relevant far into the future. In addition, we still have a lot to learn about how to implement effective antimicrobial stewardship interventions in the various practice settings that exist and pharmacist researchers will be needed to help investigate this. Choosing a path towards becoming an antimicrobial stewardship pharmacist can lead to a long, satisfying, and successful career. Hopefully the information provided here has assisted in identifying why this is so. As current and future pharmacists look to their future and attempt to find the path that is best for their personal and professional goals, becoming an antimicrobial stewardship pharmacist may be just what fits the bill.